Twin keeled Class A sail boat. 12 volt, 3 batteries charged by: engine, solar panels, shore power Jaycar Ultrasonic antifoul sytem to hull. West system 'Coppershield' Epoxy 2008. Jaycar Ultrasonic antifoul system. Antal Winches - 2 x ST W30 two speed. 2 x ST W 16. 1 x W8. Transom boarding gate and ladder. Cockpit quarter seats, teak. Sprayhood service with new windows Aug 2018. This 2008 model of the Sadler 290 is in excellent condition and is one of the last batch from Rampart yachts. The 290 is the last production yacht to bear the Sadler name and whilst not originating from the David Sadler stable she is, if you like, the 'Sadler 29 re-imagined for the 21st century'! This means that she's a thoroughly competent ,if small, ocean cruiser with the enhanced accommodation and comforts now expected by today's yachtsman, and more importantly yachtswoman! heating, hot water, a fridge , and in this example a new toilet. Below the waterline she boasts an epoxy Copper Coat and ultrasonic anti-foul system. She has just come ashore for a 'wash and brush up' and is now ready to go again! 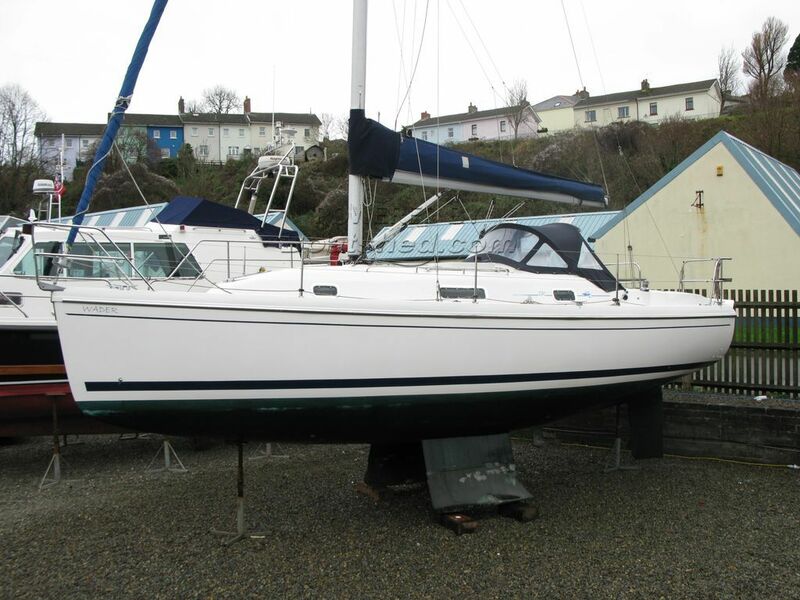 This Sadler 290 Twin Keel has been personally photographed and viewed by Mike / Alan of Boatshed Wales. Click here for contact details.